An optimum amount of calcium, iron, and protein should be taken. Foods rich in fiber will help you stay full for a longer time. Choose low-fat products such as toned milk, yogurt and other dairy products. You have become a mother of an adorable baby but you might not be finding yourself attractive and fit enough with your extra pregnancy pounds. Sure, your baby has made your life beautiful but you yourself want to feel beautiful by slipping into your pre-pregnancy clothes. Take it slow! Losing weight and getting fit after pregnancy should be a gradual process lest your baby is affected in any way. Diet, exercise and patience are what you need. Being a recent mom, you might be breastfeeding, although this does not change your nutritional requirements yet certain considerations should be kept in focus. Continue with your balanced diet: A balanced diet apart from meeting your daily nutritional needs is also essential to keep up your energy reserves which you will need more now, as you have to take care of a baby. Optimum amount of calcium, iron and protein from varied sources of fruits and vegetable should be taken. Have variety of fruits and vegetables: Foods rich in fiber will help you stay full for a longer time, reducing hunger pangs while providing you all the nutrition. Lose the extra pounds in a gradual manner: Losing weight rapidly can harm your body’s systems and make you unwell. Your state of wellbeing has a direct effect on your baby hence, make fitness a step-by-step process for your and your baby’s good health. Dieting or limiting your intake of food can affect your body’s milk production for the baby and can make you malnourished. Choose low-fat products such as toned milk, yogurt and other dairy products. Give yourself six months to a year’s time to regain your pre-pregnancy weight. Choose or limit your fish intake: Certain fish varieties especially sea fish which are big in size such as swordfish, shark, tuna and king mackerel should be avoided as mercury levels are found higher in these. Choose fresh water fishes such as catla and rohu which are of medium size and are less likely to be containing mercury. Fishes are a rich source of omega-3 fats which is essential for the fetus’s brain development. Avoid consumption of alcohol: If you are breastfeeding, you should avoid consuming alcohol as it can get into your breast milk which may bother your baby or can cause potential harm. Alcohol is also shown to affect production of milk in a lactating mother. There are many conflicting studies on the effects of alcohol on the breast milk that one is confused about what to follow but to be on the safer side stay away from alcohol for good health of your baby. Avoid junk or fast food: Even after pregnancy, you would need to keep your nutritional level and health in good shape, therefore opt for “real” food. You can give into your cravings once a week. Drink plenty of water: If you are breastfeeding, remember to have plenty of water and other healthy fluids in order to keep dehydration at bay. 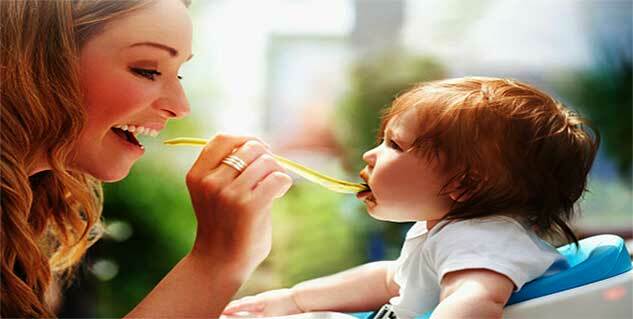 Avoid eating spicy food: It may cause your breastfed baby to become irritable and fussy. Consumption of strongly flavoured food and rich spices can affect your milk quality making your baby gassy and cranky. Pay attention to what you are eating and how your breastfed baby is reacting as certain foods may cause allergy or may just not be suitable for your baby at this point of time. Medications: Medications must not be consumed by nursing mothers. However, if you feel the need, consult your doctor first as some medicines can pose health hazards for the breastfed baby. Certain multivitamins or health supplements: They must be taken only if prescribed by the doctor in order to make up for any nutritional deficiency.